Here it is! Courtesy of our Official Media Partner hi-impact consultancy, you can experience the excitement, inspiration, booms, bangs and fizzes of The Big Bang North West 2017! On the 4th of July 2017, The Big Bang North West hit The Exhibition Centre Liverpool and thousands of young people from across the region enjoyed exciting exhibits, sensational shows and ingenious innovation while celebrating STEM. Watch, attend, exhibit, support or sponsor. Save the date – The Big Bang North West will return on Tuesday the 10th of July 2018! The Big Bang North West is brought to you by All About STEM as part of a programme led by EngineeringUK. 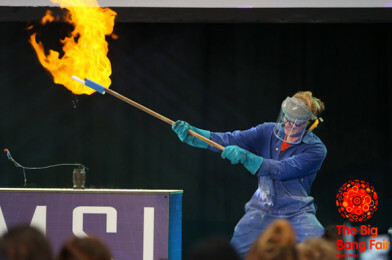 Big Bang events bring Science, Technology, Engineering and Maths to life! They enable young people to discover the exhilarating and rewarding STEM based careers available in their local area via fun, hands-on activities. Adding to the excitement, the event hosts the semi-final of The Big Bang UK Young Scientists & Engineers Competition. Thank you to everyone who made our 2017 event possible. Official Media Partner: hi-impact consultancy – ‘Go Virtual’ at The Big Bang North West!